Geothermal heating and cooling uses the constant temperature of the earth to heat and cool your home in the most efficient and eco-friendly manner. 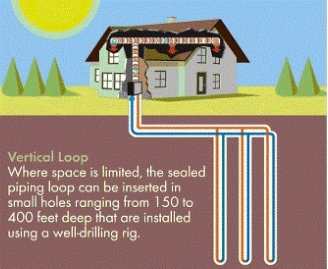 In the summer months, the geothermal system will remove the heat from your home and dissipate it into the earth via the ground loop. 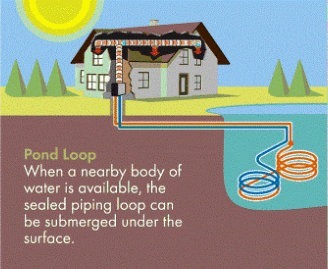 The earth absorbs this heat quickly and the ground loop returns much cooler water back into the system. 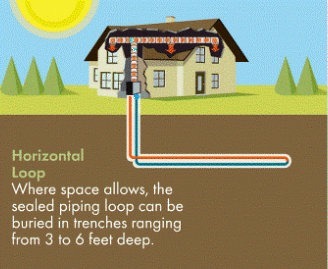 During the heating mode, the system will remove stored heat from the earth and move it into the system via the ground loop. This greatly reduces the amount of energy needed to warm the home.